Meaningful analytics for ecommerce sites are different from, say, news sites. Ecommerce sites should track metrics that produce or prevent actual sales, after all. Which campaign generated sales? When did visitors abandon purchases? Which sites referred customers? Which product pages convert highly, and which do not? 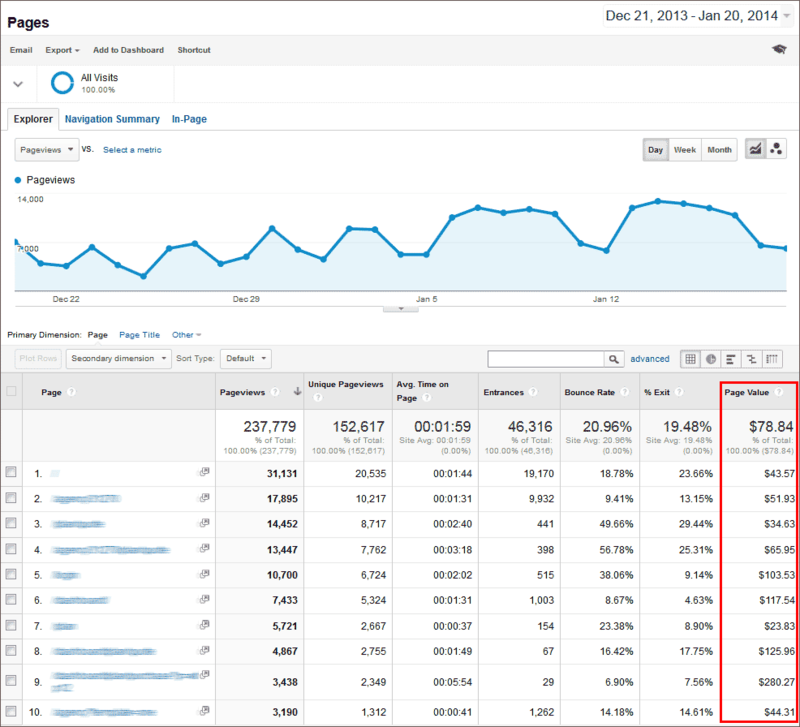 Google Analytics provides extensive metrics for ecommerce sites. But it requires configuring Google Analytics properly and then knowing where to monitor in Google Analytics afterwards. In this article, I’ll list 10 key techniques and metrics for ecommerce tracking in Google Analytics. Unlike the standard Google Analytics tracking code — which Google Analytics provides directly and which you can drop into every page of your website with minimal configuration — Google Analytics ecommerce tracking requires some server-side coding. If you’re not in a position to implement actual ecommerce tracking immediately, you can in the interim set up Google Analytics goals with an estimated value. Goals are configured from within the Google Analytics interface and do not require special coding. For ecommerce tracking and all aspects of web analytics, measure the who and the where as much as the what. (Where did your visitors originate, and what did they do on your site?) While you don’t need to configure inbound links from other websites (since Google Analytics can correctly parse the referring website from the HTTP headers), links from a variety of other sources — such as a click-through from an email in Outlook — are recorded ambiguously in Google Analytics by default. 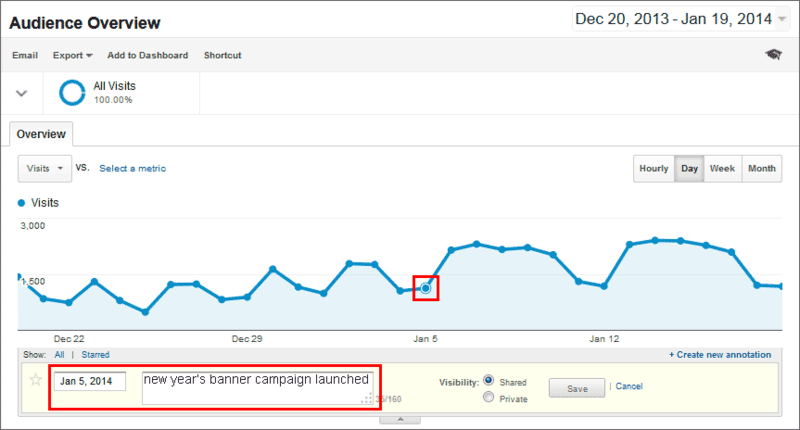 In the following scenarios, you can use campaign tags to more correctly attribute traffic source. *For inbound links from AdWords, avoid manual campaign tagging and instead enable autotagging. To configure your inbound links with campaign parameters, use a URL builder, such as this one from Google. The first page that a visitor accesses on your site can play a critical role in driving an ecommerce transaction. 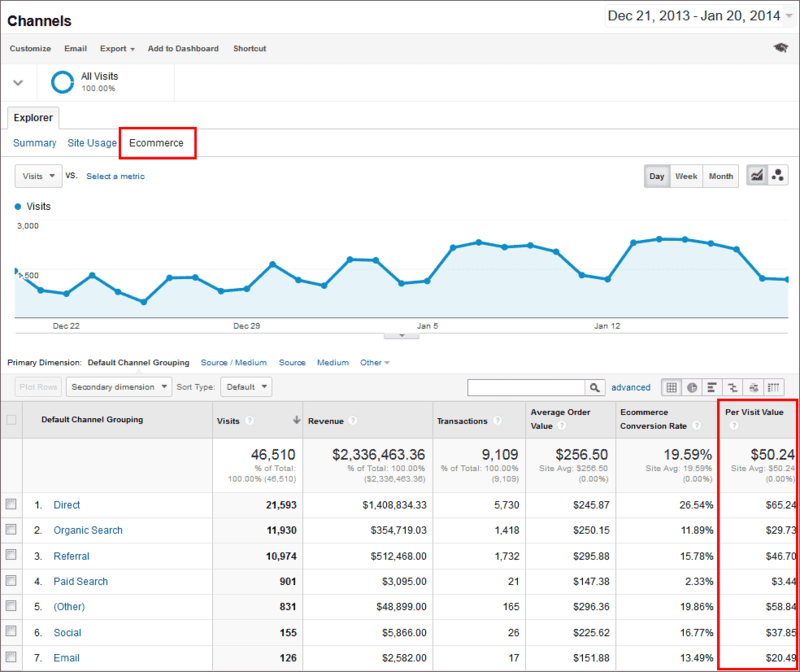 Google Analytics presents ecommerce metrics for each of your landing pages. 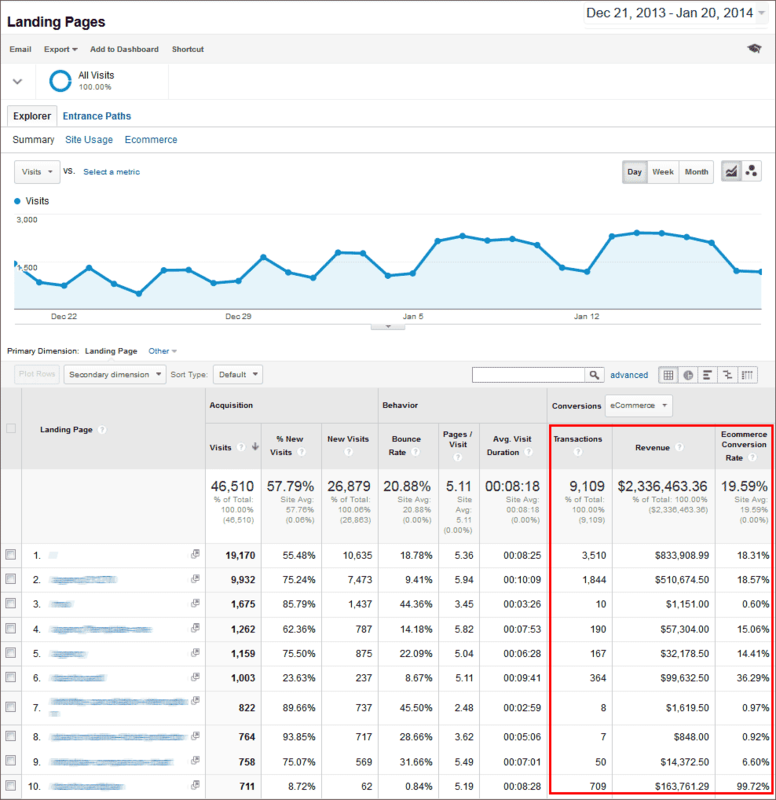 Google Analytics landing page metrics. The unique page views metric represents the number of visits during which the page was viewed at least once. 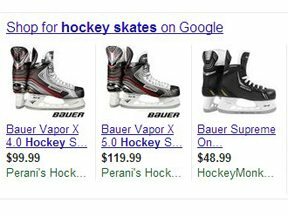 Page value allows you to compare how effective your pages are in contributing to ecommerce transactions. Does one page have a particularly high page value? Design your navigation to drive more traffic to that page or try to replicate elements of that page on the pages that have lower page values. Google Analytics page value metrics. How much revenue is each of your traffic channels generating per visit? 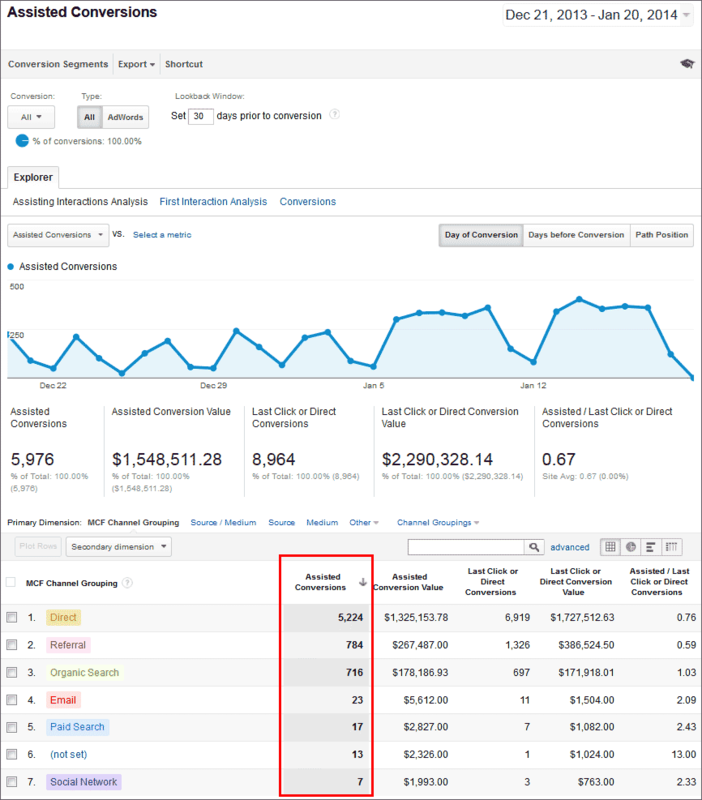 Display the Ecommerce metric set in your Channels report to view Per Visit Value for each traffic channel. To view the complete attribution chain that led to the ecommerce transactions on your site, view the Assisted Conversions and other Multi-Channel Funnel reports. Multichannel funnel reports for assisted conversions. Apply the Visits with Transactions advanced segment to your Audience, Acquisition, and Site Content reports to see which types of visitors are transacting and to possibly correlate other visitor activities — such as page views and events — with the ecommerce completions. Visits with transactions advanced segment. 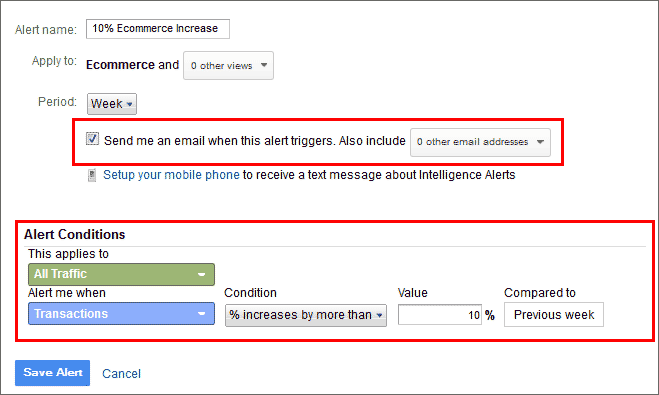 You can configure Custom Intelligence Alerts for changes in site metrics, such as a 10 percent increase or decrease in weekly ecommerce transactions. 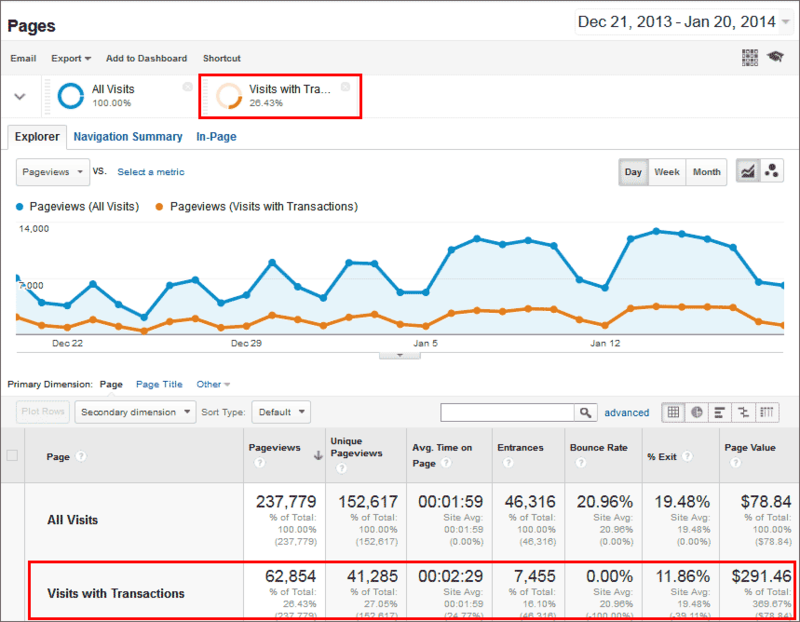 Use the Google Analytics iOS SDK or the Google Analytics Android SDK to track ecommerce transactions in your mobile apps. 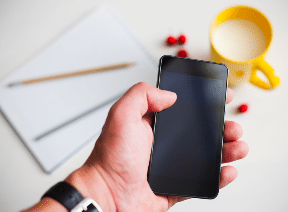 For mobile web pages, you do not need to use the SDKs; the same Google Analytics tracking code executes in smartphone and desktop browsers.